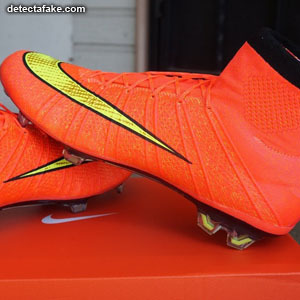 The Mercurial Superfly is a football boot manufactured by Nike. The boot is known for being lightweight. 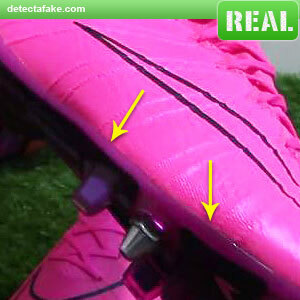 Because of this, the boot is endorsed by many players for whom speed is a very important part of their game, notably wingers or strikers, such as Cristiano Ronaldo, Franck Ribéry, Luiz Adriano, Zlatan Ibrahimović, Didier Drogba, Jesús Navas, Luka Modrić, Arturo Vidal, Douglas Costa, Xherdan Shaqiri, Raheem Sterling, Stephan El Shaarawy, Eden Hazard, Alexis Sánchez Carlos Bacca and More. The first thing to look for is the overall quality of the shoe. 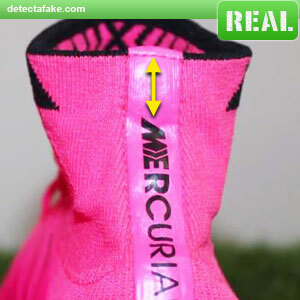 If quality issues jump out at you, assume they are fake. Next, look at the collar. It should be made of a 2 tone flyknit material. 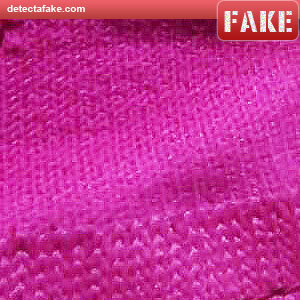 Notice the real one on the left, you can see 2 colors in the thread mesh. 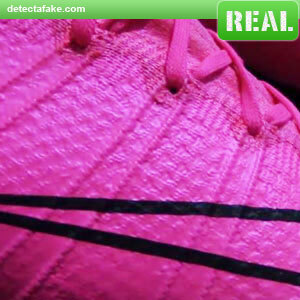 If they are made with just one color, they are probably not authentic. Next, look at the inside of the collar. The inner liner should not be the same color as the outside. The opposite color is used to show a multi dimension from the outside. Next, look at the branding on the back. It should be positioned with a noticeable gap from the top. The fake one on the right starts right at the top. 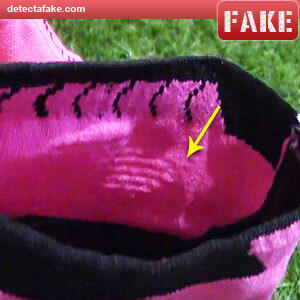 Also, notice the stitching on the fake. It is not straight with the material and has a sizable gap from the edge. Next, feel the flexibility of the shoe. The real ones will feel soft and flexible. 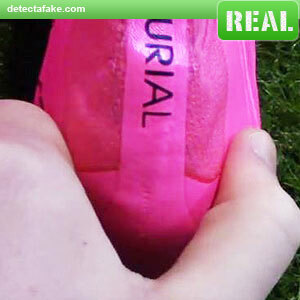 Fake ones are often rigid have a plastic feel to them. 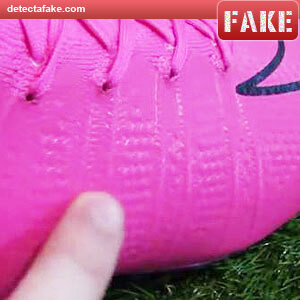 Next, look at the texture of the shoe. 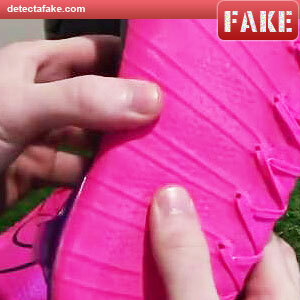 The real ones will have a rough texture while many of the fakes are very smooth, as you can see on the right side. 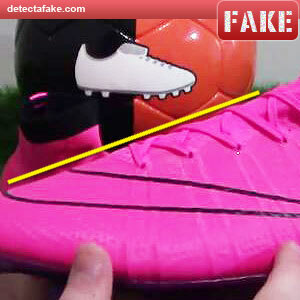 Next, look at the profile of the shoe. 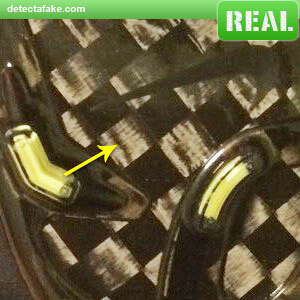 The fake ones are often very straight and look bulky as shown on the right. 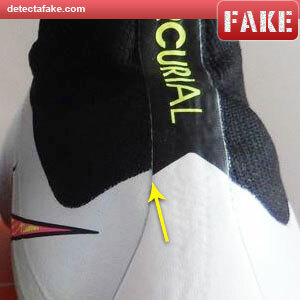 Authentic Nikes have a slight curve to them. Next, look at the top of the soles. 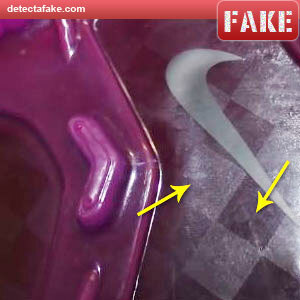 You should not be able to see glue lines as you can see in the fake above. Notice the real one looks very clean. Next, squeeze the heel. It should be very firm towards the bottom. 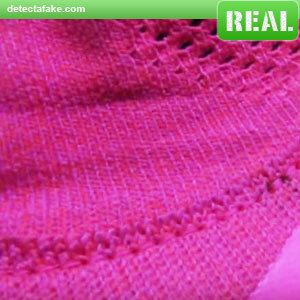 Fake ones are usually not made well in this area and you can squeeze them very easily. 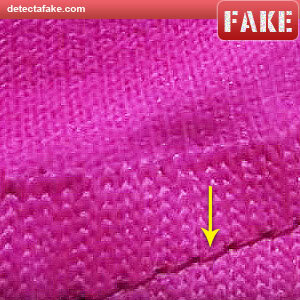 Next, look at the stitching around the collar. Authentic Nikes have a wide, uniform stitch that feels smooth to the touch. 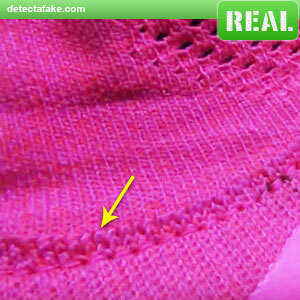 Fake ones often miss this detail and just have a single width stitch as shown above. 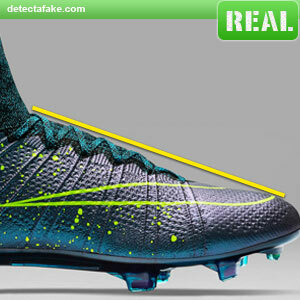 Next, look at the alignment of all the shoe details. You should not see inconsistencies like the one above. 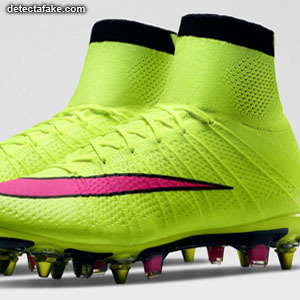 And last, look at the sole plate. 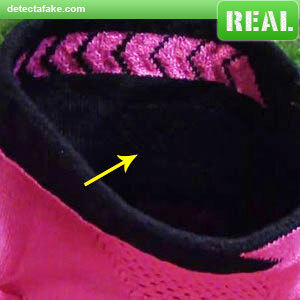 On authentic Nikes, you can clearly see the genuine carbon fiber that displays a 3D effect. 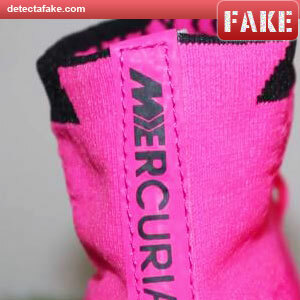 The fake ones are often printed on and look flat and dull.